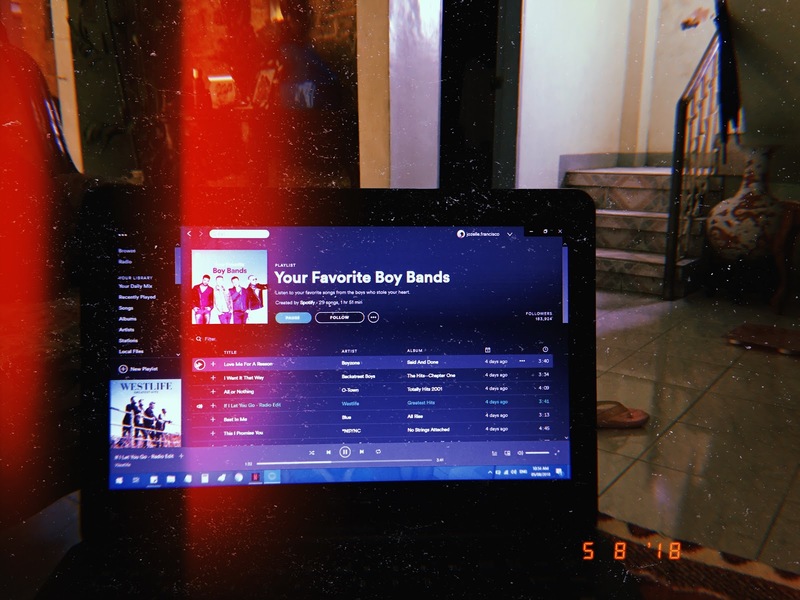 Whether it's just a playlist of my fave boy band or a simple cup of coffee jelly, they can somehow give me some sort of happiness. For a moment, I could forget the things that take over my head. I sometimes liked it when a situation can prove my earlier thoughts wrong and when it gave me some realizations I could apply in my life. Like what happened earlier. I was feeling soooo lazy the whole day that I thought of backing out last minute in a planned gala with my friends that afternoon. Pinag-isipan ko kung sisimulan ko na lang ba yung Episode 11 ng Life on Mars or hindi e. But then, I thought otherwise kahit nagsusumigaw talaga na yung inner self ko na wag nang tumuloy. And I can say na worth it naman ang pagsuko ko ng isang episode ng Life on Mars at least kahit papano, nailabas ko ung ibang frustrations ko in life and some untold stories na gusto kong ishare sa mga kaibigan ko. Though naubos ung reserba kong social skills energy ko. Being an introvert has its downside din talaga hehe. After talking with them, for some reason, parang nabunutan ako ng tinik. I feel lighter and nawala yung gumugulo sa isip ko. Maybe because of what Aby said to me and me realize so many things. [Non verbatim] "Yung kailangan mo magfocus sa mga taong nandyan sa tabi mo lagi kesa sa mga taong wala naman. ", Aby said and it was so enlightening for some reason. Maybe because that helped me answer my earlier question which I wrote in my journal, Am I doing the right thing?. And it somehow ties-in in a verse I read just minutes ago in Our Daily Journey "Whatever is good and perfect is a gift coming down to us from God, our Father (James 1:12-18)". When I first read the verse, I didn't understand it, even the explanation written along it. 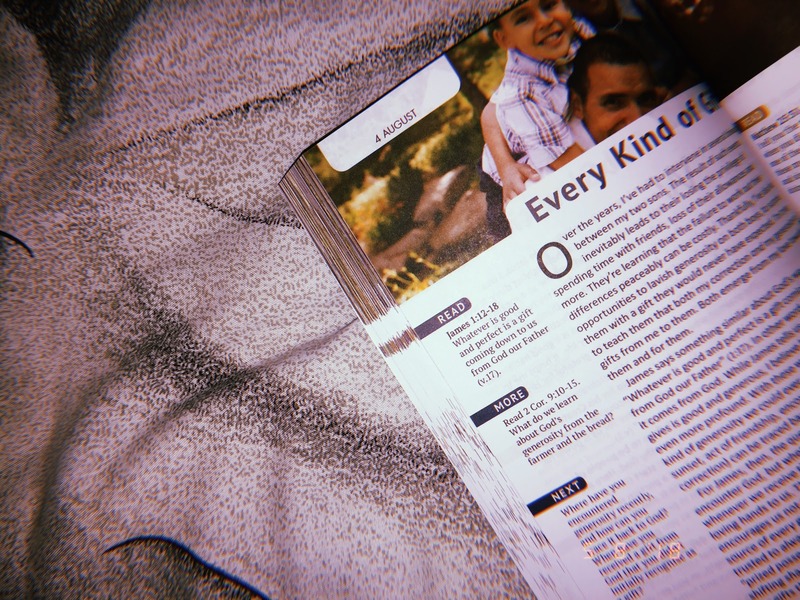 I even stopped reading and just did my nightly routine. Then as I was writing the second paragraph of this post and recalling the things that happened today, I just remembered that verse and woah, realization (again) hit me. The funny part was, the verse was intended for August 4 and not today but yeah. Haha. And so, today is a gift from Him that gave me such happiness even in small things and clarity on my clouded mind.